Chaparral shrub bearing 1/4" red berries having an acidic, lemon-like flavor. 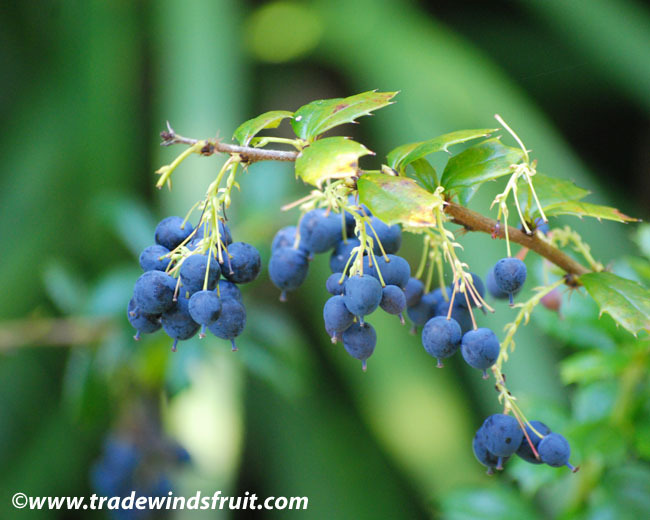 Seeds are not available for the Nevin's Barberry. Please visit our seed store to view current selections. Small shrub, usually to about 5-15ft. 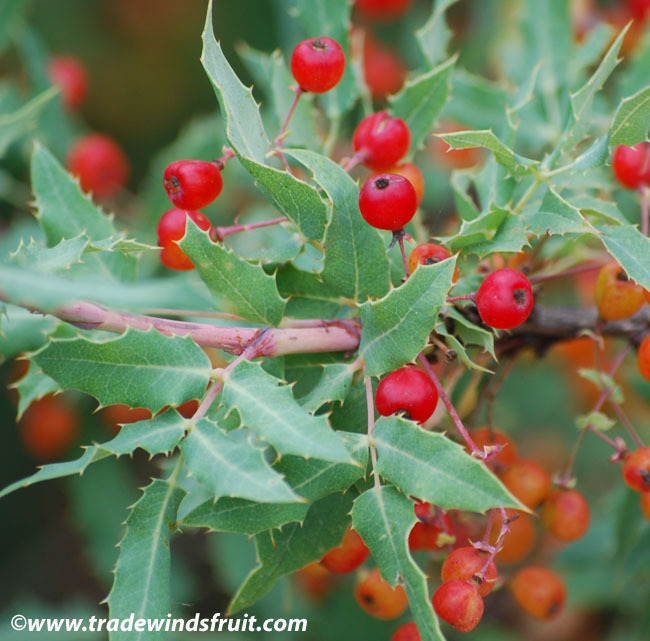 The leaves are multi-pointed bearing a casual resemblance to holly. 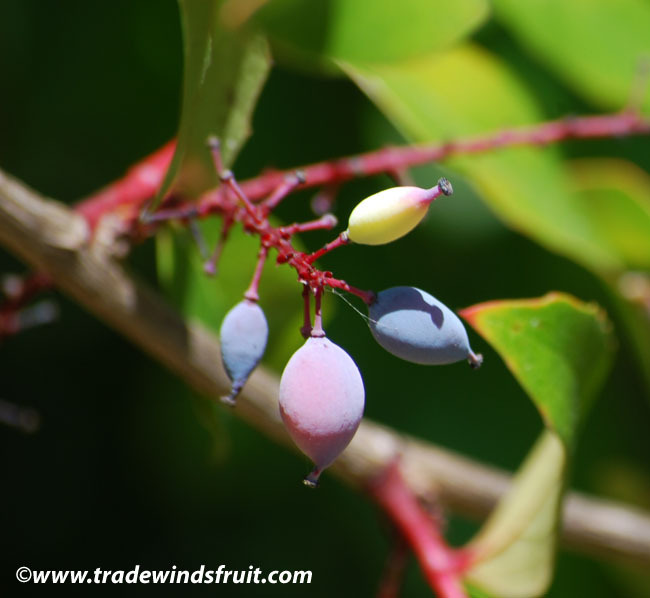 The edible red berries cover the bush during summer season. To well below 0F, possibly as low as -30F. This plant is native to dry-coastal and mountain chaparral regions and requires little water for much of the year. It is quite drought tolerant. It generally prefers full sun for best growth, and in cooler summer areas, should always be planted in full sun. It is not too picky about soil type, growing fairly well in sandy and clay soils. Fruits are eaten raw, and can be added to other foods for flavoring. The rhizomes contain berberidine, a chemical used in the treatment of bacterial infections. Native to Southern California. This species is currently threatened in the wild.